Why do our patients love IM=X® Pilates? What kind of results can be achieved with an IM=X® workout? The combination of strengthening, cardiovascular and lengthening exercises develops long, lean muscles, improves posture, increases metabolism and adds flexibility to the spine. IM=X pilates reformer (Xercizer) classes offer a unique approach to changing body composition (muscle to fat ratio). IM=X workouts attack excess bulk in the hips and thighs and tighten the body’s core muscles for rock-hard abs. Our members consistently report a significant loss of inches from attending 3 sessions weekly. How do I get started in the IM=X® Pilates program? We recommend several private sessions to learn the technique and the patented reformer equipment (the Xercizer). Then you can join our Semi-Private Membership Program where there can be 2-8 participants per session and a wide variety of class formats which combine our reformer, mat, yoga, ballet bar, cycling, etc. As a Semi-Private Training Member you can attend as many sessions as you like with just one monthly fee. How do I choose an instructor or personal trainer? All of the personal trainers and instructors at the IM=X Pilates Studio franchise are qualified to provide you with this incredible training. Our franchises send their staff to our educational institute in New York City where they learn from Master Trainers who are leaders in the fitness industry. There are 9 levels of education provided to all franchise staff — a process that is extensive, thorough and proprietary. Ask which programs are available for you! What is IM=X® (pronounced IMX)? IM=X stands for Integrated Movement Xercize. It’s an elite fitness formula that marries the muscle toning and lengthening benefits of pilates with elements of strength and cardio training to increase flexibility, endurance and muscle tone, while strengthening the spine and abdominal core. How does IM=X® differ from Pilates? Who can benefit from IM=X® training? Everyone — from fitness newbies to hard-core gym rats — can benefit from IM=X. The program has been proven effective for all body types and fitness levels, regardless of age, weight or ability. There are specialized IM=X formats designed for weight loss, athletes, pregnancy, golf and people with back pain. 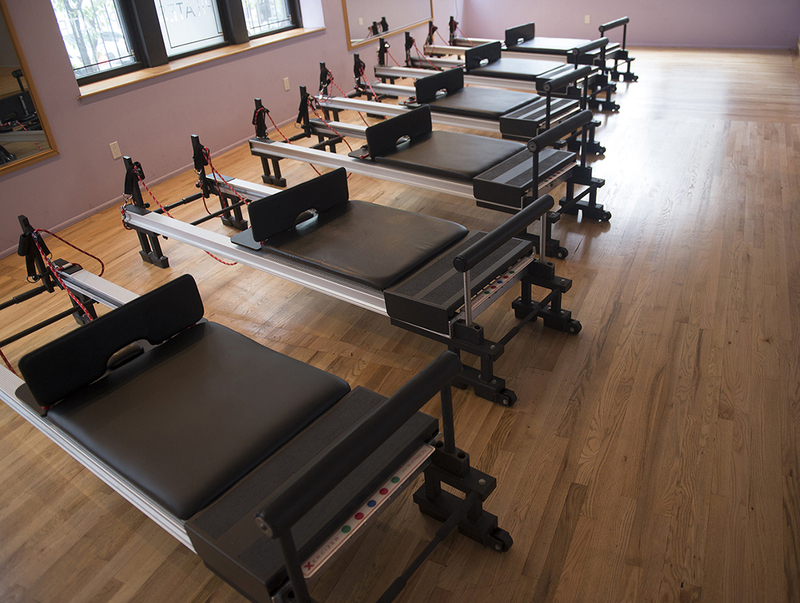 And, the IM=X Pilates Studios offer Semi-Private Training Memberships so that you can receive the attention of a certified trainer without the price of one-on-one sessions plus unlimited reformer (Xercizer) workouts!